All images by Robert Cybulski. 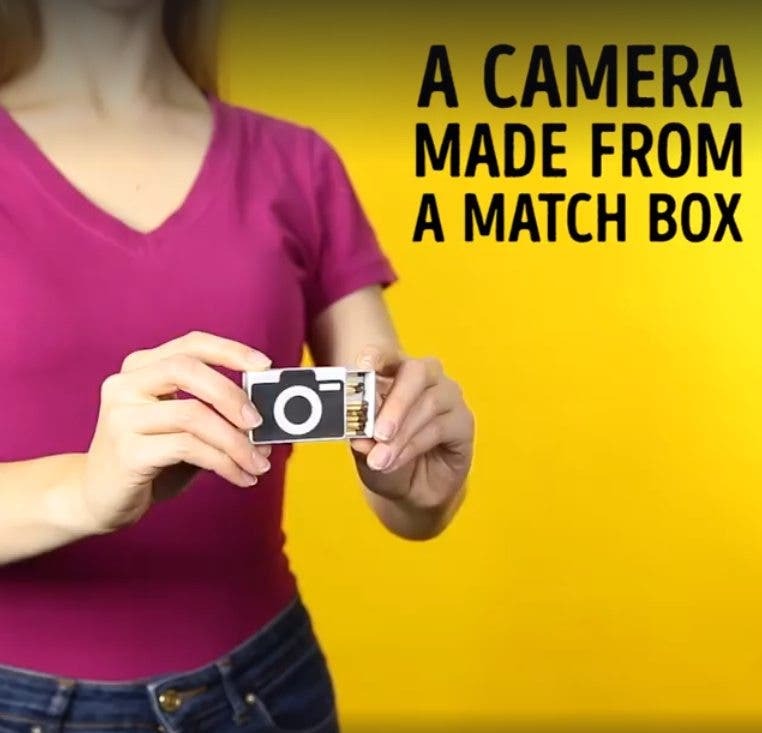 Used under a Creative Commons license. 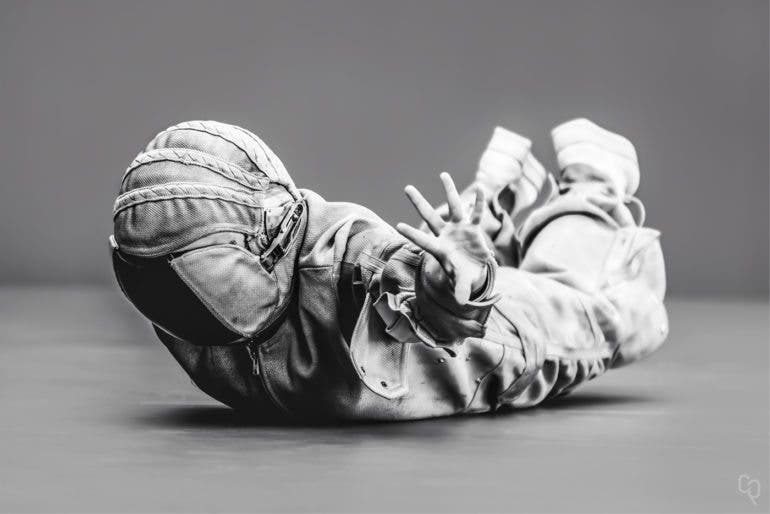 Robert Cybulski has created a conceptual portrait photography series depicting the pioneers of space travel, featuring black and white portraits of astronauts in their space suits. 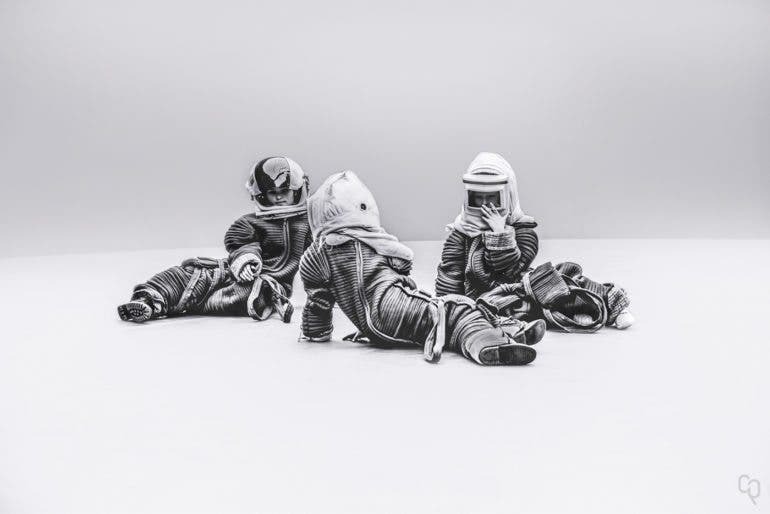 In the photo series called “/blank space”, Robert Cybulski placed a few people dressed in full Astronaut suits in an empty room with plain walls and floor. There was nothing in his framing except the empty room and the astronauts, and in most of the images, we do not get to see the faces of the astronauts. The images are in full black and white, and the absence of color further emphasizes the emptiness of the room by the plain monotonous walls and floor containing the astronauts. The astronauts are left in various poses, either sitting, lying on the floor, or perhaps even floating as if they were in space. The plain, empty, spacious room obviously symbolizes the limitless outerspace the astronauts travel to. Wherever you go,by looking all around, it appears to be just the same vastness of nothingness. The astronauts are rarely standing in an upright position which is true of movements in space, floating weightlessly in mid-air most of the time. Perhaps the biggest underlying contradictory concept that Robert is trying to pose is the sense of being trapped in an empty void though the outer space may be a boundless vacuum. You may find out more of Robert Cybulski’s photography and graphic design art work on Behance gallery here.